The history of Passover dates back hundreds and hundreds of years ago, if we are to believe the Bible and the story about the Jews fleeing Egypt to escape slavery. According to the story, the Jews left Egypt after the 10th plague, the curse that kills all Egypt firstborn son. They left hurrying, and since there is no time to wait for the bread to rise, the Jews fled without finishing baking and took only unleavened bread. 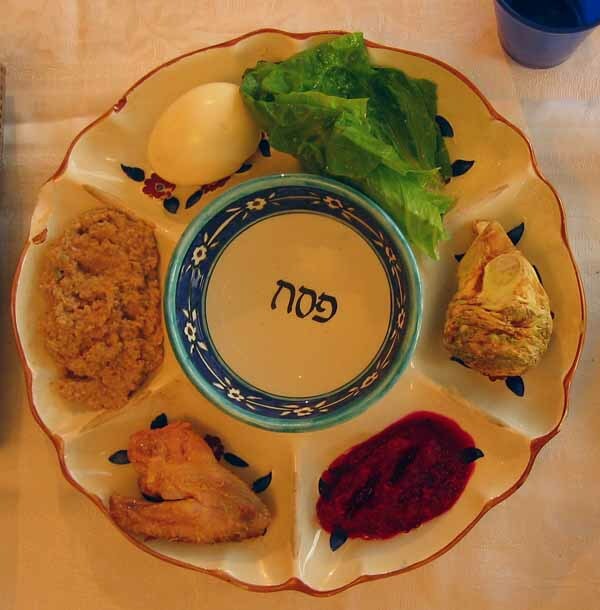 The Pesach is celebrated to commemorate Hebrews plight. Since there is no leavened bread when they flee Egypt, today’s Jews also observe the feast without eating anything with leaven. All Chametz products are forbidden and for some people, a week without cookies, cereals, bagels, pasta or granola bars is already a torture. 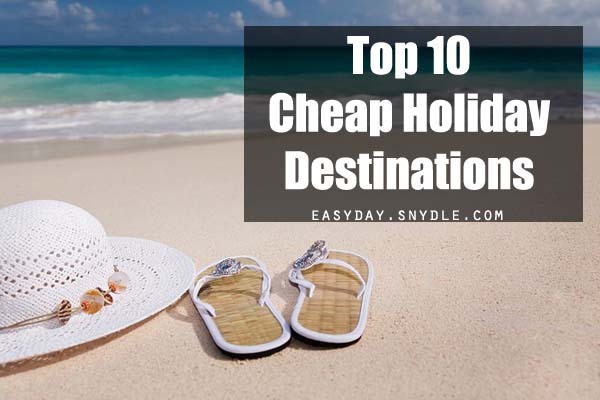 Luckily, you do not have to stress yourself too much this holiday even though there are lots of food you cannot eat this Passover. This Pesach brings opportunity to people who love to experiment in the kitchen. 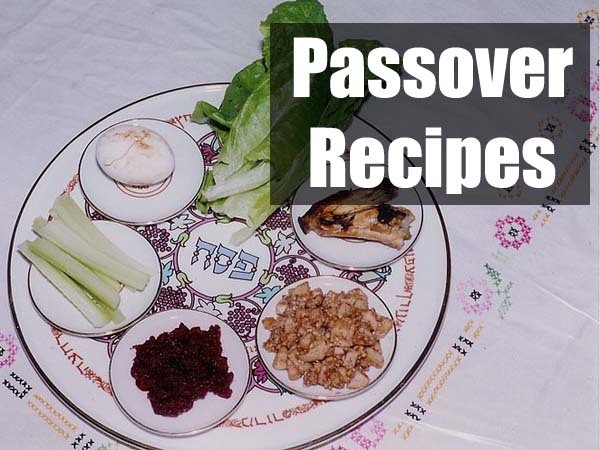 And to help you get ready for the Passover feast, I have rounded up healthy Passover recipes from Pesach vegetable recipes to Passover desserts recipes that both children and adults will love. The recipes below are great for observant Jews and those who enjoy trying new recipes. These recipes can help you decide on your Passover meal. This matzo brie recipe offers a delectable meal to observant Jews. It is nutritious, easy to follow and loaded with sweet and savory treat such as bananas, pecans and traditional matzo brei. If you are looking for comfort food that meet the kosher stringent requirements this is a recipe to try. In a large bowl, crush the matzoh crackers. Whisk milk, eggs, vanilla, cinnamon, syrup and salt in a medium sized bowl. Pour the mixture over the crushed matzoh. Leave for 5 minutes to allow the crackers to absorb the liquid. Sliced the banana and combined the half into the matzoh egg mixture. Reserve the other half of the banana for garnishing. In a large skillet, heat butter on medium high heat. Next, pour the prepared matzoh mixture into the skillet. Let it cook for at least 5 minutes or until a bit golden and the egg have cooked thoroughly. Serve the matzoh with slices of banana, dash of cinnamon, pecan pieces and maple syrup. Add the yogurt if desired. This recipe is great for brunch, dinner or anytime you are hungry for something new and delicious. Salmon is great for Passover feast, so what are you waiting for get your pan ready. In a 10-inch skillet, heat olive oil in medium high heat. Next, add into the skillet the onions and let it cook for 4 minutes until tender. In a medium bowl, whisk together the eggs, pepper, salt and cream cheese. Pour the egg mixture into the pan and let it cook for 3-4 minutes or until the center have set. Left the edge of the egg omelet using your spatula to cooked the portion to still uncooked. Lay the salmon on the half of the omelet, sprinkle with capers and chives then fold the omelet in half using a spatula. Slide into a plate the omelet. Serve the omelet with cream cheese and matzah. Spaghetti on Pesach, are you crazy? These days, it is now possible to make spaghetti on Passover as long as you use squash. This recipe is packed with vitamins, gluten free, sugar free and highly nutritious. First thing to do is preheat the oven to 375ºF. Next, lightly grease the baking dish with melted coconut oil or spray with cooking oil. Whisk together the eggs, cinnamon, and coconut sugar in a large bowl. And then, add and toss the spaghetti squash. Mix in the raisins and apples. Pour the prepared apple mixture into the prepared baking dish. Bake for about 45 minutes or until golden. Let it cool before serving. Are you looking for a good kosher breakfast? Or maybe a treat for kids, one that do not taste like cardboard this Pesach. This matzo granola recipe is perfect for those who are looking for Pesach food that are easy to prepare. Combined matzos, oil, walnuts, salt, honey and sugar. Spread evenly the prepared mixture on a baking sheet. Bake at 300 degrees for 25 to 30 minutes, stirring constantly or every 10 minutes. Let it cool before breaking into small pieces. A casserole is a perfect dish as you can make it in so many ways. This recipe further proves that casserole is also great even for Passover. In a large casserole dish, spray cooking oil, and then heat oven to 375 F.
In a large skillet, heat 1 tbsp of olive oil over medium high heat. Saute the onions and garlic, about 10 minutes or slightly brown. In a bowl, combine the garlic and onion with carrots, sweet potatoes, celeriac, beets, lemon zest, applesauce, orange zest, savory, tarragon, and thyme. Season with pepper, salt and toss. Next, spoon the prepared mixture into the casserole dish. Combine in a small bowl the crushed matzos, and then add the remaining coriander and olive oil. Season it with black pepper and salt. Sprinkle into the dish the vegetable mixture. Bake the casserole dish for about 1 hour or until the veggies are tender. This soup is great for Passover and vegetarian as the matzo ball soup filled only with vegetables packed with minerals and vitamins. Unfortunately, the preparation for the soup is a bit extensive compared to the other recipes on this page, but believe me when I say, the look on your family and guests faces when they start digging into the soup make up for all the hard work you put into the soup. In a large bowl, combine the eggs, salt, oil and pepper until combined properly. Throw in the matzo meal, seltzer into the bowl then mix well. Cover and place in the refrigerator for about 1 hour. Scoop using your hands small amount of matzo mixture, shaped into 1 ½ inch balls. In a boiling waiter, place the matzo balls, cover and let it cook for about 20 minutes. Transfer the balls into a tight container until needed. In a Dutch oven, heat oil over medium high heat. Throw into the oven the onion, sweet potatoes, celery, carrots, parsnips, garlic and ginger. Let it cook for about 2 minutes, stir until lightly browned. Add the water, thyme, and bay leaves, reduce the heat. Simmer for 45 minutes or until the veggies are tender. Remove from the heat, strain and remove all solids. Add the dill, and then season with pepper and salt to taste. Transfer the matzo balls into the warm soup, and serve. This chocolate macaroons recipe is great for vegan and for observant Jews. It is nut free, dairy free and gluten free, a sweet kosher treat for children this Passover. This macaroons is a must try this Passover. In a mixing bowl, mashed the banana until all clumps are gone, and then stir in the maple syrup, melted coconut oil and vanilla extract. Next, sift the cocoa powder, stir to combined, stir in next the chia, coconut, and salt. In a baking sheet, line a parchment paper. Using an ice cream scooper or spoon, simply scoop rounds of the prepared mixture onto the baking sheet. Place in the freezer the sheet of macaroons for about 20 minutes or until firm. Remove from freezer if planning to eat, the macaroons soften in warm temperature. This flourless chocolate walnut cookie recipe makes cookies that are chewy in the middle, crispy around the edges and extremely good. In a large baking sheet (rimmed) spared the walnut halves and toast in the oven for at least 9 minutes, or until fragrant and golden. Let it cool a bit before transferring the walnuts halves to the work area. Coarsely chop the walnuts. In the oven, place two racks, one in the upper and the other one in the lower thirds of the oven. Reduce the temperature to 320 degree F.
Line 2 rimmed baking sheet with parchment paper, must be large. Combine the confectioner’s sugar, cocoa powder, chopped walnuts and salt in a large bowl. Whisk properly to combine. Next, add the egg whites, vanilla extract and beat until the batter is moistened properly. Do not overbeat the batter to avoid stiffening. Spoon the prepared batter onto the sheet in 12 spaced mounds and then bake for about 14 to 16 minutes or until the tops lightly cracked and glossy. Remove and let it cool before serving. P.s: You may shift the baking pans from front to the back halfway through baking to cook the cookies completely.